There are 20 posts tagged Conservatives (this is page 1 of 4). 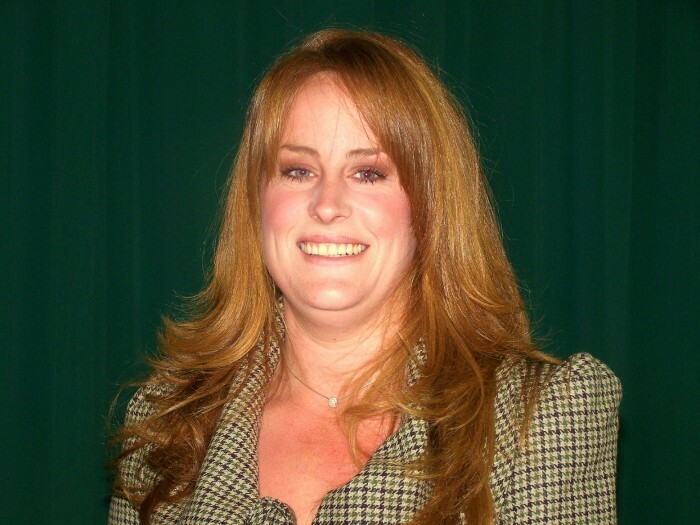 Rochester and Strood MP Kelly Tolhurst has resigned her seat on Medway Council. While I am extremely honoured to have been asked to join the Prime Minister’s team as a Government Whip, I accept that after discussions with colleagues and residents it is clear I am unable to carry on with my role as a local authority councillor without conflict. Working solely as the Member of Parliament for Rochester and Strood, I now have the opportunity to represent the whole of the constituency at the highest level. I believe that this decision is without doubt the best thing for both the constituency and the ward of Rochester West. If she believes that she “now [has] the opportunity to represent the whole of the constituency at the highest level”, was she not representing the whole of her constituency before? If she has decided holding two national jobs means she can no longer effectively represent her ward constituents, will her parliamentary and former council colleague Rehman Chishti, who also received a promotion this week to one of the Vice Chairmen of the Conservative Party, come to the same decision and also resign from the council? I have today received, and accepted, the resignation of Cllr Kelly Tolhurst as ward member for Rochester West with immediate effect. We have begun arrangements to fill the vacancy. The arrangements begin by advertising the vacancy in the ward. If two electors within the ward write to the Chief Executive asking for the vacancy to be filled, a by-election will be called. And let’s face it, with a probable slate of six candidates for the contest, getting two signatures will not take long. Frustratingly, before today, I was in the process of writing a lengthy blog post to start the year by taking a look at next year’s full local council elections (trust me, in context it made sense!). In short, I had updated my projections model to try to predict the level of support for each party in each ward, not in an effort to predict the outcome, but rather to see where each party was likely to win and where the key battles would be fought. I will now postpone publication of that post until after the by-election, as it will likely give me more invaluable data to refine the projection model. And although at least one election every year between 2014 and 2019 may not necessarily excite voters in Rochester West, for political geeks like me it makes the start of this year very interesting indeed. And, of course, Medway Elects will be there for the ride! When I left the Conservative Party four years ago and joined UKIP, I always envisaged returning to being a Tory voter (if not a member) after the EU referendum had been delivered – which, let’s face it, is the main reason why people voted for UKIP and why that Party is now on a slippery slope to oblivion. EU Referendum duly delivered, I left UKIP and began to keep an eye on the direction of Theresa May’s new government to see whether the damage done by David Cameron to the Conservative Party I had joined would be undone. Despite some promising words at the start of her reign, unelected Queen May is now bent on pursuing Brexit at any cost in the hopes of reuniting her party and proving that, whilst a remainer, she is committed to delivering the will of the people – while the wedge between leave and remain voters is gradually creating a deeper divide across the country. What irks me, irritates me, angers me even, more than anything else this government without a mandate is doing, is the continued insistence on playing political poker with people’s lives. On 23 June 2016, the British people voted for a departure from the EU – but not a destination. The choice voters made was to leave the EU, narrowly outnumbering those who wanted to remain in the EU, but they were not consulted on what that would actually look like. In a referendum campaign filled with so many contradictions and plagued by misdirection, it was impossible to know, from the perspective of either side, what Brexit would look like. Like 17 million other Brits, I voted Leave on 23 June 2016. Like many (though, admittedly, not all) I did not vote against immigration, as the Britain I want to live in is an open Britain. Like many (though, admittedly, not all) I did not vote against non-Brits, as the Britain I want to live in is a tolerant Britain. Like many (though, admittedly, not all) I did not vote to stick two fingers up to the establishment, as the Britain I want to live in is a united Britain, not one in which an “us v them” mentality defines discourse. If I had known on 23 June that voting “Leave” would result in Theresa May’s vision of Brexit, then, despite my deep and long-held opposition to the EU, I would have voted “Remain”! Does that mean that I regret voting to leave? No. Categorically not. What I regret is that the terms of our departure are being decided upon by a government with no electoral mandate beyond leaving the EU. And what I regret, perhaps more than anything, is that this unelected government is now playing games with 3 million people’s lives. And yes, that includes the woman who will later this year (on 8 July, in fact) become my wife. 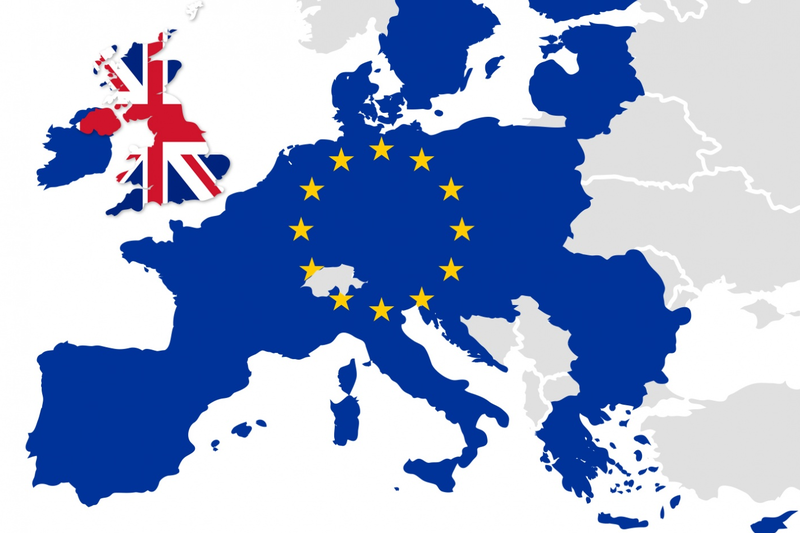 It has often been said that the UK leaving the EU is like a long and unhappy marriage finally coming to a divorce. However, before the divorce can be finalised, the two parties need to decide what their lives will look like after the legal separation – and that involves negotiation and compromise. What angers me is the way the government is so casually placing so much stress and uncertainty on 3 million people who not only did not vote for this government, but also did not get a voted on whether their country of residence would be leaving the EU at all. The government’s approach to EU citizens living in the UK is not dissimilar to that of a bitter parent arguing over custody of the children, particularly in the context of extracting as much “compromise” from the other party as possible. It makes for a compelling emotional argument but, ultimately, the children become mere pawns in their parents’ violent game of chess while their best interests are continually ignored by the warring parties. In their “love” for their children, those parties end up doing more damage in the long-term. This government is effectively saying to EU citizens “we care about you so much, but actually not enough to guarantee your right to remain living here”. As for my family, the situation is complicated enough without Queen May tearing it down the middle before it’s even begun. My bride-to-be is unable to move to the UK until we get married (for reasons I will not go into here) and, like the open-minded optimist I am, I assumed that, as the UK must continue to respect its treaty obligations for free movement of people until the date we actually leave the EU, the government would not be so cold-hearted as to remove the right to live here of anyone who had made the UK their home before that date. Silly me! It seems the government is more concerned with the Faragist scare-tactic that half of eastern Europe will move here in the next two years than with taking a pragmatic (dare I say, human) approach to the workers this country needs to survive. Now, I don’t blame Queen May for my family situation but I will squarely and firmly blame her if my wife and I are ever forced to live in separate countries because of her own heartless immigration policy. And if that situation ever occurs then I swear, as long as there is blood pumping through my body, that I will never vote Conservative again. Ever! And, yes, you can quote me on that. EU citizens need to be given clarity on where they stand … It would be shameful if the Government were to leave them in limbo, lining them up as bargaining chips in the forthcoming negotiations. Sad news coming from Medway Council this morning, as it has been confirmed that Rainham Central Councillor Mike O’Brien last night lost his battle with cancer. Cllr O’Brien, who was also the Cabinet Portfolio Holder responsible for Children’s Services, had been battling with the disease for some months. His ward colleague, and Gillingham and Rainham MP, Rehman Chishti has pledged to run next year’s London Marathon in aid of Cancer Research UK following Cllr O’Brien’s diagnosis. First elected to Medway Council in 2007, Cllr O’Brien was given the Community Safety brief after Cllr Chishti’s election to Parliament in 2010. However, he has long been a champion for young people and was subsequently appointed as the Lead Member for Children’s Services following the sacking of Cllr Les Wicks in 2013. Cllr O’Brien has not attended a meeting of the full Council since 25 February, while his last committee meeting was the Audit Committee on 10 March. However, he has been continuing his Cabinet role and having regular meetings at home in between treatment sessions. He was a wonderful friend to all and an outstanding and dedicated councillor and cabinet member, who I and fellow councillors thoroughly enjoyed working with. Our thoughts are with Sheila, Martin and the rest of his family at this difficult time. Mike was incredibly committed to his children’s services portfolio and despite his illness over recent months he continued to work. I enjoyed visiting him at his home to update him on council business and to catch up with a good friend. Over the years Mike achieved many things, but his biggest passion was by far his family – his wife Sheila, two children and six grandchildren. The council chamber will be a lesser place without Mike’s wit and strong debating style. He will be missed by all who knew him personally. The thoughts of the whole of the Labour Group are with Mike’s family and friends at this difficult time. On a personal note, I will always remember Mike as a kind and caring man, occasionally offering words of encouragement while I was studying and wise advice about the dangers of smoking (reminding me on a few occasions that I should quit!). Medway Council has lost one of the nicest men in politics and he will be sorely missed by his family and friends. You can support Rehman Chishti’s fundraising efforts for Cancer Research UK via his JustGiving page. 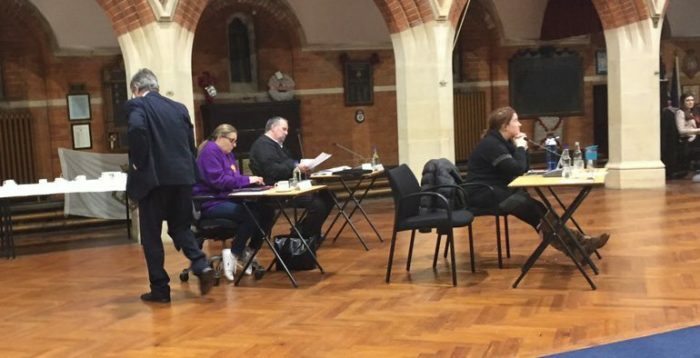 A by-election will be held in Rainham Central in due course, meaning a second round of voting in Medway following this week’s resignation of councillor Catriona Brown-Reckless. Residents in Strood South will go to the polls on 20 October. 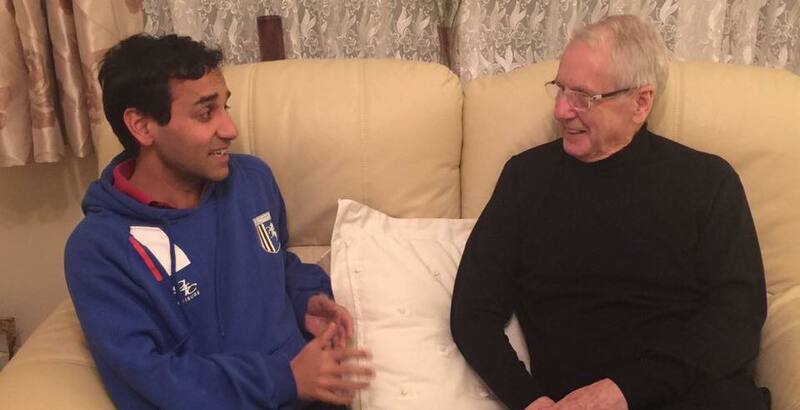 Photo: Mike O’Brien (right) in discussion with Rehman Chishti earlier this year. Credit: Facebook/Councillor Mike O’Brien.